Well here we are and the closing date for submissions has just passed. As promised a while ago on this topic I reveal the en plein-air work I have been working on for the competition. I hope lots of people like it, but mainly the judges…..but some recognition would be nice. I have seen some of the competition and it is fierce! so I am keeping my expectations in check. 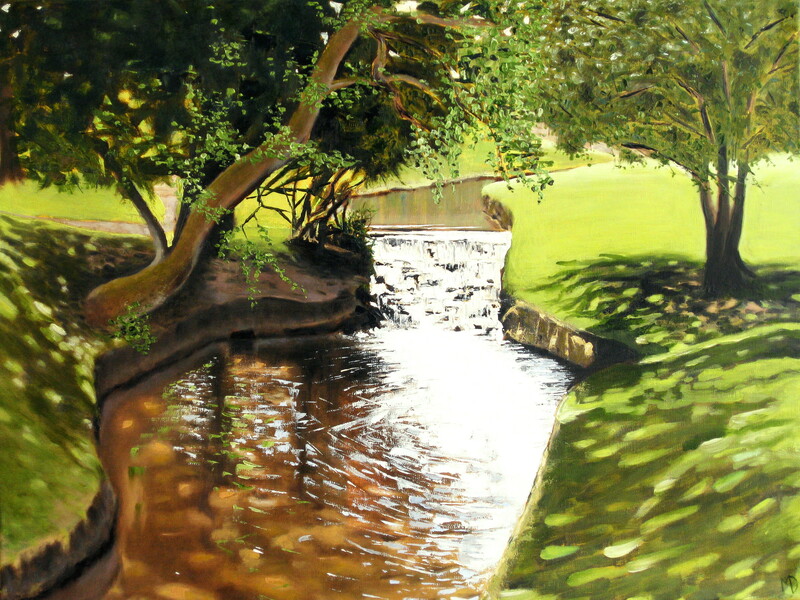 This is “Sunlit through trees, Pavilion Gardens“, oil on canvas, 60.5 x 46cms – unframed at the moment. Wish me luck I’m gonna need it! Went to see the Francis Bacon exhibition at Sainsbury Centre, UEA in Norwich on Tuesday last. The SC is one of my favourite galleries/art buildings. It’s an iconic building in an iconic setting which sort of gets you in the mood even before you venture inside. I’ve been a few times before but the space never fails to cheer me up and get my creative juices going, I’ve even seen many of the Francis Bacons before but this time they were set up in comparison against some of the modern masters’ pieces which allegedly inspired them. Great idea and the concept really worked for me but as usual I found FB a difficult artist to get into – am I alone? I am irresistibly drawn to his work but I always end up slightly at arms length with them. I find I admire his contortions more than I actually like them…..but it’s quite likely I guess that he would be indifferent to that and more concerned with exploring his own mind. Amen to that! But I never need much of an excuse to visit a few modern masters if they’ve been stuck conveniently together for my benefit. Quite often you see the work of an artist afresh simply for the fact that it has been hung alongside that of others. One of the downsides of visiting a single artist’s exhibition, famous or not, is that fatigue often sets in to the detriment of the whole experience and the 113th painting doesn’t quite get the level of visual attention I can muster for the 13th. Still they always register on some level! It is astonishingly beautiful, all the more so because of its visual simplicity. If you get the chance to visit the Sainsbury Centre you will not be disappointed even if you can’t make the current Francis Bacon show – there are always some of his works dotted about the place along with Modigliani et al. 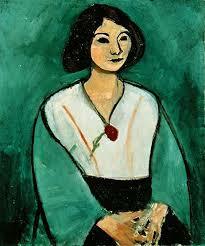 Come to think of it the Matisse piece above is remarkably Modigliani-esque don’t you think?